Large Image 91 images of EBT, Rio Grande Southern, Denver & Rio Grande Western, East Tennessee & Western North Carolina, Mount Washington Cog and Denver & Inter Mountain. All color images scanned from original slides taken between 1940 and 1943. Large Image Each volume contains over 100 Maine 2-foot images from the Kennebec Central, Monson, Bridgton &Saco River (B&H), Wiscasset, Waterville & Farmington and Sandy River & Rangeley Lakes Railroads. 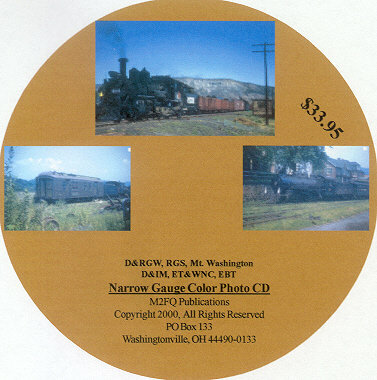 There are unpublished photos on each volume, and there is at least one vintage color photo on each CD. 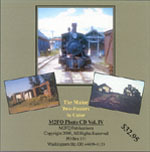 Volumes 1 and 2 are general with views of stations, r-o-w, locomotives, etc. 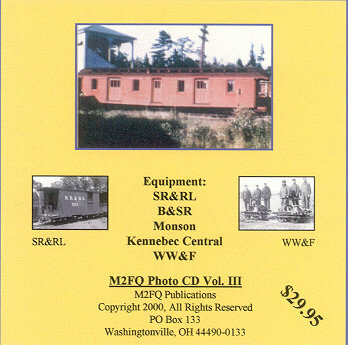 Volume 3 is equipment only has photos of cabooses, freight cars, plows, flangers, railcars, etc. Volume 3 is an EXPANDED AND UPDATED VERSION, over 150 photos, including contemporary detail images, great for the modeler. Large Image This CD contains over 60 vintage color images of The Bridgton & Harrison (running), Sandy River & Rangeley Lakes (1938 and a few images from the 60s) and WW&F (1938-1960). The majority of the photo on this CD were taken between 1938 and 1940 and are scanned from original or second generation color slides. 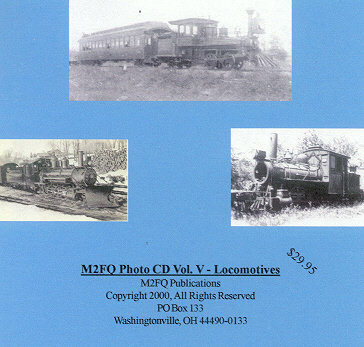 Large Image This volume has over 105 Maine 2-foot locomotive images from the Kennebec Central, Monson, Bridgton & Saco River (B&H) and Sandy River & Rangeley Lakes Railroads. Includes several unpublished images from each road. MAINE 2-FOOT IN COLOR, VOL., VI AVAILABLE NOW! Picks up where Vol. IV left off. Monson, Poland Paper (18 inch gauge), SR&RL and WW&F.